Yes!! The name says it all. 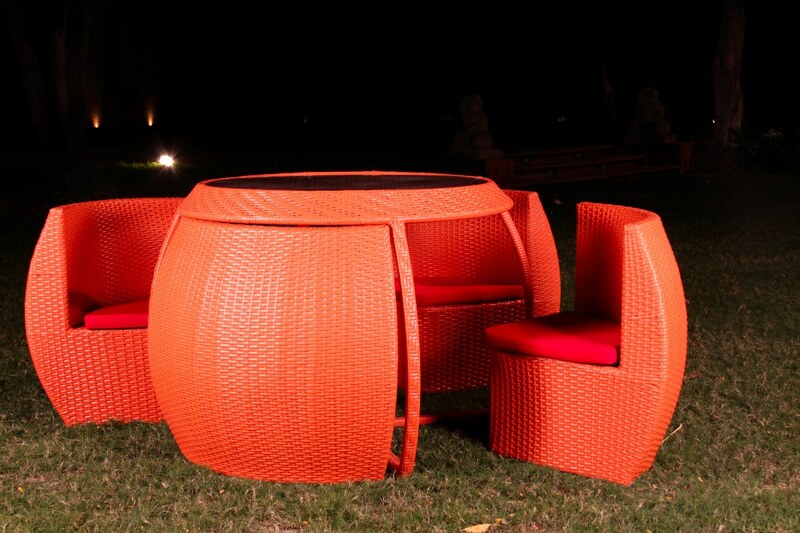 This fresh tangerine rattan dining table set designed in a diversely unique shape, is now available at Scarlett Studio. It works beautifully for the indoor as well as outdoor spaces. Its interesting in shape, and therefore arises intrigue wherever it is placed.